The loss of parental care is a global phenomenon happening to children both in Canada and around the world. The needs of these children, and the importance of a quality alternative care system, are often forgotten. For 70 years, SOS Children’s Villages (SOS) has worked with governments to prevent the unnecessary separation of families and developed comprehensive childcare systems that help every child realize their full potential. 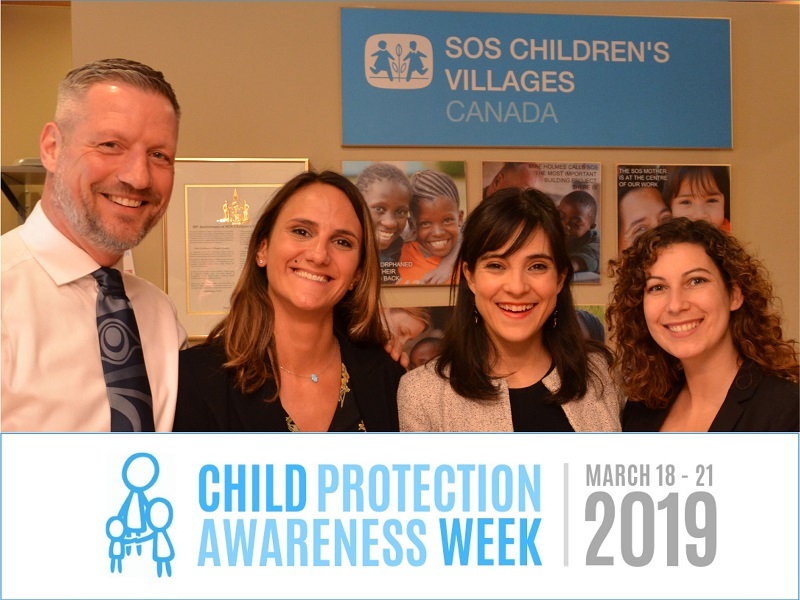 This year, SOS Children’s Villages Canada welcomed Sofia García García, SOS Representative to the United Nations in New York, and Luciana D’Abramo, SOS Director of Emergency Relief Programs for the Middle East and North Africa, to participate in our Child Protection Awareness Week events. 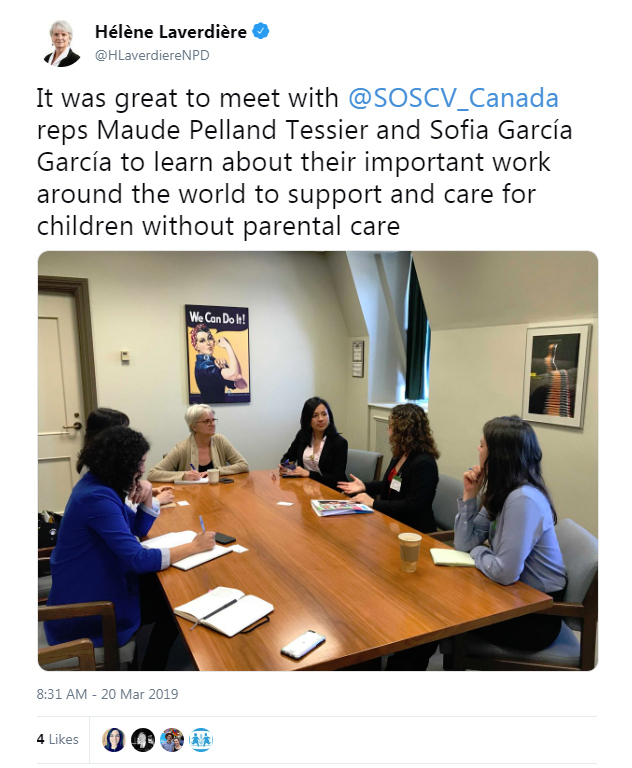 In Ottawa, our SOS representatives met with Members of Parliament, Senators, Government of Canada officials, and supporters to discuss the importance of investing in quality care for children without parental care and how we can address the root causes that lead to the loss of parental care. This year’s United Nations ‘Rights of the Child’ resolution — focusing on children without parental care — provides Canada with an opportunity to reflect and engage on this issue. Together, we can ensure that children’s rights are protected and that the most vulnerable children have access to the quality care they need and deserve. 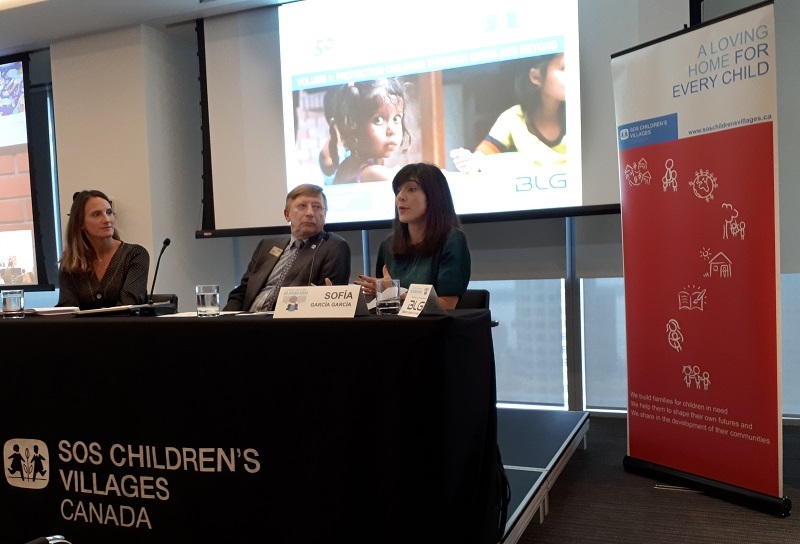 In Toronto, Ms. García García and Ms. D’Abramo were joined (remotely) by Angela María Rosales Rodriguez, National Director of SOS Children’s Villages Colombia, for Volume 1 of the SOS Canada 50th Anniversary Speaker Series on the topic of Protecting Children Through Crisis and Beyond. The international representatives shared their first hand experiences in protecting children’s rights through the Venezuelan refugee crisis, in the aftermath of war in the Middle East, and in discussion with policy makers at the UN. SOS supporters and individuals interested in learning more about our work to protect children joined us for the Speaker Series event, which was generously hosted by Borden Ladner Gervais, and attended by many of their partners and clients. Alfred Page, BLG Partner and incoming Chair of the Board for SOS Children’s Villages Canada, moderated an insightful discussion. In addition to our SOS representatives and those who attended our events, we would like to thank Senator Jim Munson and Senator Scott Tannas. 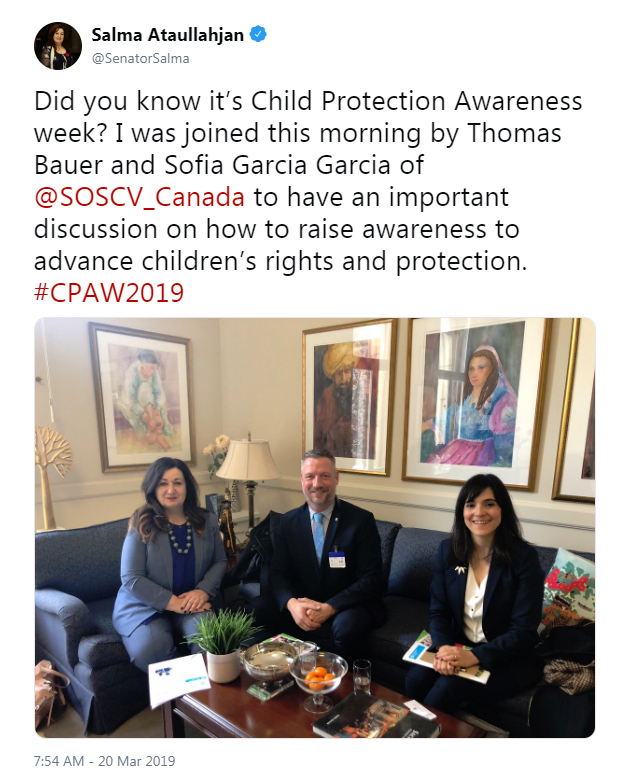 Both Senators are long-time supporters of SOS Children’s Villages’ work, providing their support in organizing CPAW events on Parliament Hill for a second year in a row.